Brahmanda Guruji Shri Narendra Babu Sharmaji spoke on the Great King Manu Needhi Cholan in his Bruhat Brahmanda programme while speaking on Tiruvarur Temple. This incident in periya puranam explains an event that happened in the life of the chOza king who became known as Manuneedhi Cholan because of the glorious justice he made. This exemplifies the impartial judicial practice the ruler or the ruling system in the land should follow. When the king is that much involved in spirit and action in upholding the justice irrespective of the personal agony he would get, the people would live in love and the land would prosper. 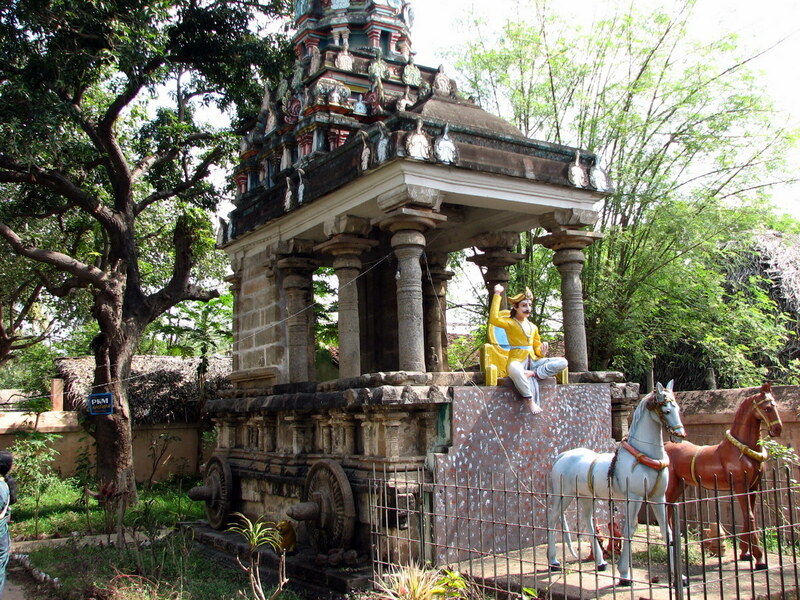 In the solar tradition of Cholas was this king born. He lived like the eye and soul of the lives in the land. He propitiated the powers of the nature with a numerous rituals. Devoid of enemies the land prospered. His name itself became known as the chola of manu justice. He donated a lot for the worship of the Bull flagged Lord of thiruvArUr. He got a son who was like a lion-cub in valor, skilled in various arts, disciplined and had the lovable characters. With the king feeling proud of his loving son he grew up as a youth who would deserve to be entitled as the prince. One day that young son of the king was riding his chariot on the main roads of the capital thiruvarur along with the friends and the forces. That time a calf which did not realize the movements on the road suddenly entered in between. 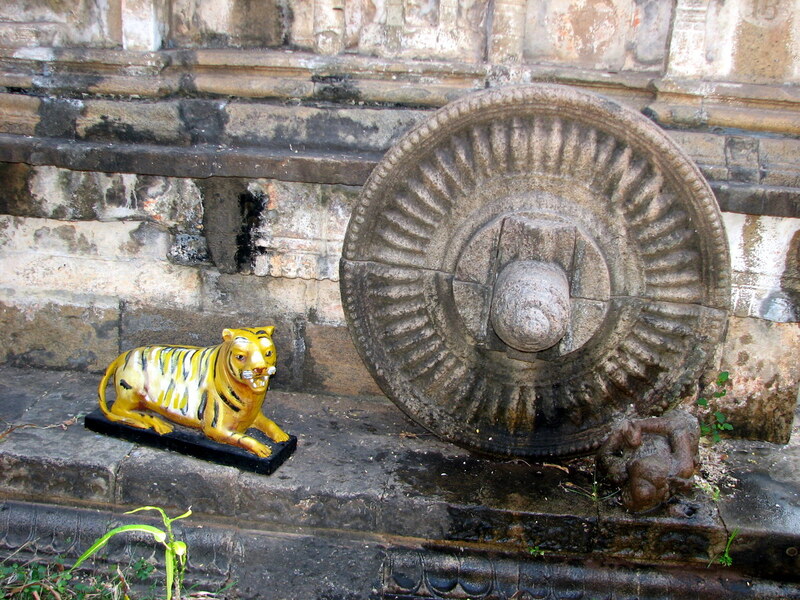 Alas, that small creature got hit by the wheel of the chariot and was crushed to death. The cow which saw its calf killed on the street was stricken with grief. It licked, cried and sat in grief near the dead calf. The son of the king was appalled at what had happened. He couldn't come out of the shock of what happened and felt he had born to defame his father who stood for justice. He rushed to the scholars in order to do the deeds of penance for this deed before facing his father. Meanwhile the grief stricken cow went to the palace and rang the bell hanging in the front with its horn. (Calling the king to do justice). The king rushed to the gate and saw the crying cow ringing the bell. A minister of keen knowledge told the king about the death of the calf when it entered beneath the chariot abruptly. On hearing that the king underwent unexplainable sorrow. Unable to bear the sight of the crying cow he sat there in sadness and asked the ministers what he could do to correct the misdeed. The ministers said he should make his son undergo the penance that the vedic scholars made for the killing of cows. The king who did not follow the rules of justice just for the sake of following but who ruled involving himself in the essence of them, was irked by the answer of the ministers. 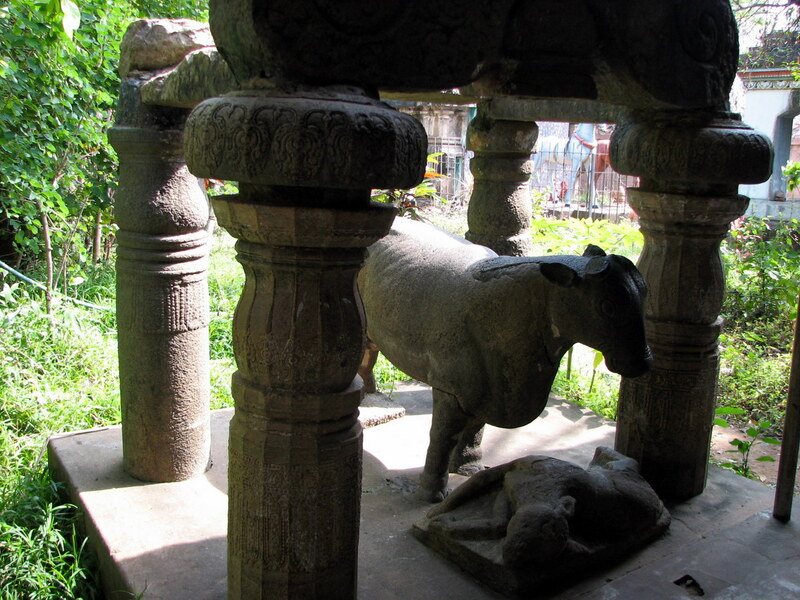 "How could I do injustice to this poor cow because it was my son who did the misdeed. When I do not leave somebody who kills a life how can I show a different attitude towards my son? Isn't it the responsibility of the king to ensure that the lives that live in his kingdom are protected against the fear of him, his associates, enemies, thieves and other creatures? If I make another rule for my son won't the ancient system of justice be scoffed at?" the king shouted. The ministers told that the practice had been that the peanancial rites are done in order to come out of this sin and hence it would be just to observe that tradition. The king was annoyed at their response and said, "You speak not understanding the spirit and truth behind the justice. A big sin has been committed by killing the creature that was associated with the appearance of the holy abode of Lord shiva at thiruvarur. The compensation for this deed would be to execute my loving son the same way the calf was killed." The ministers were terrified and went away. The king ordered a son of a minister to run over his son with the chariot. He unwilling to do that, suicided. The king not bothering that his son was only one for the royal family, he himself overrun his son under the wheels of the chariot. That splendid king stood in the history for doing justice to all creatures living in his kingdom. The subjects of the land wept wondering the king's stand on justice; The Lord who raised the Flag of Bull indicating the divine justice that Lord of thiruvarur appeared in the horizon amidst the praise of the divines with His consort parvati. The king saluted the Lord of creatures. The Supreme blessed the king for his sincerity towards justice and by His grace the calf, son of the king and the minister came back to life. The cow and the king got relieved of their agony. The devotees for whom such magnificent deeds were possible lived in that holy town thiruvarur. Let the adherence of the great Chola king to justice in its true spirit stay in the mind. Thiruvarur Big Temple located in Tamilnadu.